Who is on The Bachelorette? 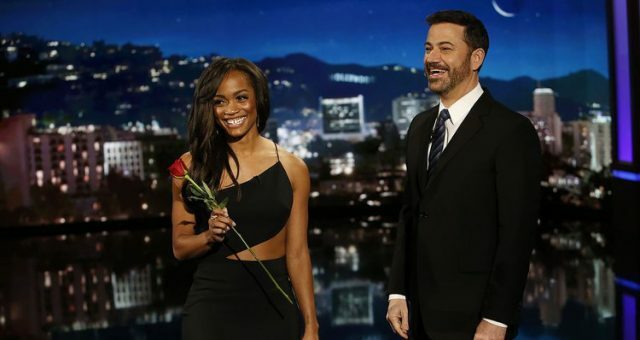 The Bachelorette contestants have finally met their bachelorette, Rachel Lindsay, but who will make it to the end? Rachel will have to think long and hard about who she wants, and after the first episode, she’s already cut the guys who didn’t catch her eye! To help you keep track, here are your Bachelorette cast members, complete with The Bachelorette 2017 spoilers. The Bachelorette 2017 cast was a full deck, but just after the first episode, not everyone made the cut. The Bachelorette 2017 contestants will be put to the test and will soon learn that Rachel isn’t playing games in her search for Mr. Right! Alex is an information systems analyst (sounds important) and he is 6’2” with no tattoos. He has a shared Instagram (tinobordy) with his best friend Valentino and they are the definition of “Bromance.” If Alex makes its to the hometown dates, there’s no doubt that his BFF will be there. He also likes a girl who’s aggressive and he wants to treat his woman like a queen. Enough said! Anthony is an education software manager, he is 6’3” and describes himself as “emotionally intelligent and very positive.” He has his own Instagram (siranthonybattle) and his last name sounds like he’s ready to fight for Rachel and put a ring on that finger! He’s an avid reader and has no limits when it comes to the bedroom, once he’s found that special person. We can only imagine what Rachel’s NSFW response would be to that! Blake is an aspiring drummer, he is 6’0” and has two tattoos, one of which is the initial of the dog he rescued. Yes, you read that correctly, the man rescued a dog! Was the bus full of orphans already taken?! He’s also into 50 Shades of Grey for the taboo theme—seems to be a trend lately for these guys. But don’t worry, he describes himself as a gentleman and his Instagram is (blakelosangeles). Blake is a U.S. Marine Veteran and he is 6’0”, which may just be the shortest height of any these contestants! His Instagram is (blakekillpack) and he doesn’t have any tattoos. Brady Ervin, Bryan Abasolo, Dean Unglert, Fred Johnson, Grant Gubsher, Iggy Rodriguez, Jack Stone, Kenny King, Lee Garrett, Lucas Yancey, Matt Munson, Mohit, Sehgal, Peter Kraus, William Justin and De Mario Jackson and Diggy Moreland. Is it too early for some Bachelorette spoilers? We like to think it’s never too early and we all want to know for sure if the rumors are true. In the second episode, the bachelors get to play basketball, but one suitor has a problem off the court: A current girlfriend! 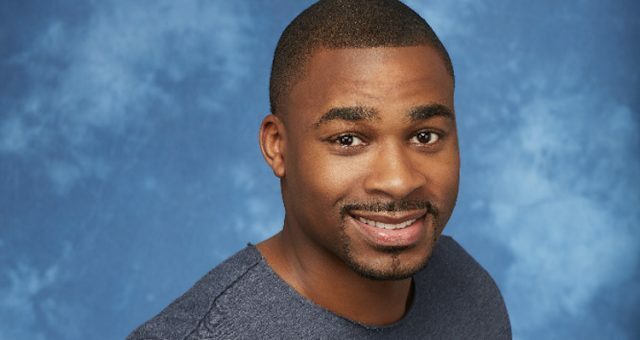 That’s right—DeMario supposedly has a girlfriend and he still has her apartment key! Rachel is 32 and has no time for games, so what does she do? She nicely calls DeMario out of the guys’ locker room and he sees his unimpressed and highly confused girlfriend. He has the look of guilt on his face and tries to play dumb with amnesia, but we all know he knows he’s busted. See ya later DeMario, because you’re done. Don’t forget to watch The Bachelorette at 9:00 p.m. EST on ABC!